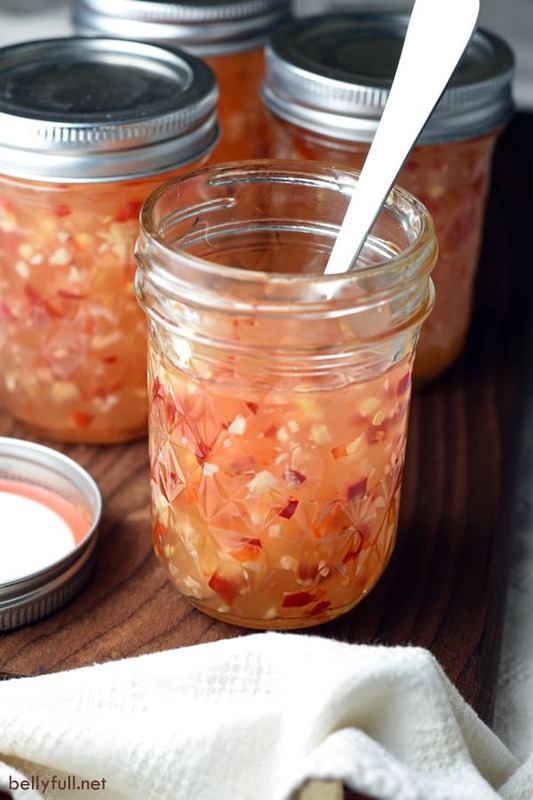 This homemade Sweet Chili Sauce is garlicky, tangy, sweet, and spicy. Perfect for dipping spring rolls, egg rolls, and dumplings into. 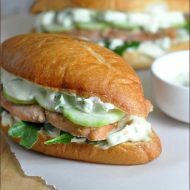 Or serve it with grilled meat, poultry, seafood, and vegetables! WAIT! Before you immediately dismiss this post because “you’re not a canner” I am here to tell you, I’m not either! Not at all. BUT I ABSOLUTELY LOVE THIS COOKBOOK. So, please hang with me and see why. Ok, are we good? Good. Whew. Let’s continue…. You guys. 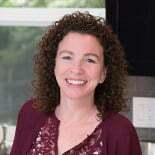 My long time friend, Rebecca – from scratch everything extraordinaire – just released the Not Your Mama’s Canning Book. And it’s fabulous. WHAT IT’S ABOUT? well, obviously canning. But it’s got a very modern twist, with plenty of delicious goodies that I bet your grandmother never stocked in her pantry! The best part? For almost every canned recipe, there is an accompanied recipe of what to use it for. << So. Smart. 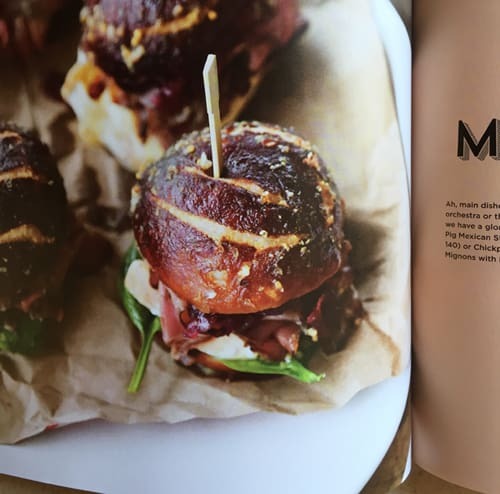 WHAT KINDS OF RECIPES ARE INCLUDED? sweet and savory! More specifically, preserved fruits, jams and marmalades, pickles and relishes, sauces and condiments, syrups and sodas, stock and beans. And then 40 recipes to use them in! Main dishes, appetizers and snacks, soups and sides, beverages, breakfast, and desserts. DO I NEED SPECIAL CANNING EQUIPMENT? Only if you plan on doing a ton of canning or putting up low-acid foods. 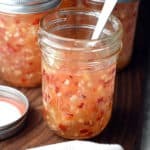 But for the occasional and small batch canning (like this Sweet Chili Sauce recipe), you can totally get away with just a large lidded stock pot, tea towels, tongs, and mason-style glass jars. DO I NEED SPECIAL INGREDIENTS? Yep! But nothing crazy. You’ll need canning starch, which is not the same thing as cornstarch, such as Clear Jel or ThermFlo. And for jams, jellies, and marmalades, you’ll need Pomona’s Universal Pectin, which is different than most other commercial varieties. And you’ll need vinegar for wiping the lids cleaning before storing. ARE THE INGREDIENTS EASY TO FIND? Yes! 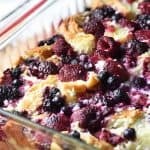 Most of the ingredients used in the recipes can be found at your local grocery store, with the exception of the canning starch and pectin, which I buy online from Amazon. WHAT IS THE LEVEL OF DIFFICULTY? Hm. Medium? 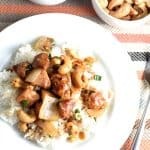 Are these recipes quick and easy, like what you’re used to from ME? No. But… BUT…I would say if you’re comfortable in the kitchen, you will have no problem. The little bit of extra time and effort is SO worth it, IMHO. Plus remember, you’re canning stuff, so once the work is done, you’ll be set up for further recipes with little work involved. The pay off is huge. ARE THERE A LOT OF PICTURES IN THE BOOK? Yes! 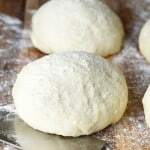 Almost every recipe has a picture. And they’re gorgeous. Now let’s talk about this Sweet Chili Sauce! You all know how much I adore Asian food. And dipping sauces. So the second I spotted this recipe, it was a done deal. No brainer. Game over. You’ve seen it in grocery stores, right? I would say it’s most commonly served with egg rolls, spring rolls, and dumplings. It’s slightly thick, but still pourable. Garlicky, tangy, sweet, and spicy. Delicious! 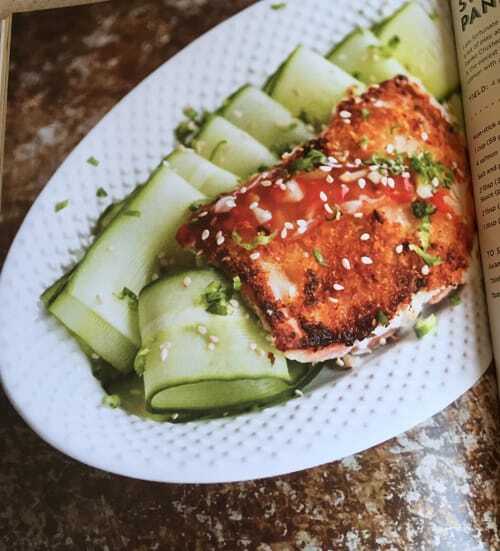 The bonus recipe in the cookbook that utilizes it, is this Sweet and Spicy Panko Crusted Salmon. Totally on my to-do list. My book came delivered with an 8-ounce jar of Korean Barbecue Sauce (which is also in the book.) Because Rebecca is my friend. My awesome friend. 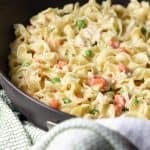 I immediately used some of it the next day smothered in grilled chicken wraps. It was amazing. Your book won’t come with that, so you’ll need to make a batch. Really. And these Holiday Baked Roast Beef Sliders. Hello. 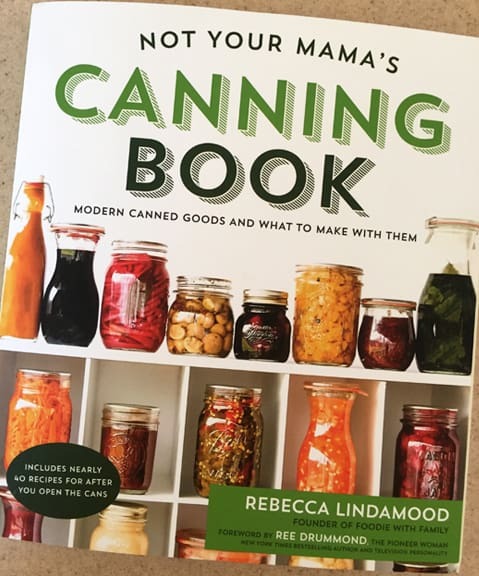 Buy Not Your Mama’s Canning Book here! In a medium-sized saucepan, stir together 2 cups of the water, the rice wine vinegar, sugar, salt, peppers, and garlic; bring mixture to a boil. Boil 5 minutes. While the sauce is boiling, whisk together the remaining 1/3 cup of water with the canning starch. While stirring the sauce mixture vigorously, pour the canning starch mixture into the pan; keep stirring and bring the mixture back to a boil. Lower heat and simmer for 1 minute. Use a ladle to scoop the sauce into 8 ounce glass jars, leaving a 1/4-inch clearance from the top. 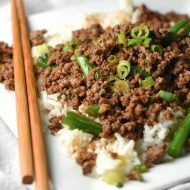 Use a chopstick to remove any air bubbles and then adjust the level with additional sauce if needed. Moisten a paper towel with some vinegar and wipe the rims of the jars clean. Place lids on the jars and fasten appropriately. Using nonslip tongs, transfer the jars to a canner full of boiling water that covers the jars by 2 inches. Put the lid of the canner in place, return water to a boil and process for 10 minutes. Carefully transfer the jars to a wire cooling rack and allow them to cool completely, preferably overnight. Wipe jars clean, label, and store in a dark place for up to 1 year. Once opened, the sauce will keep for up to 3 weeks in the refrigerator. (1) Clear Jel is not the same thing as Sure Jel! Make sure you are using Clear Jel or ThermFlo canning starch. (2) Don’t have a canner? That’s ok! Just use a large lidded stock pot and make sure the boiling water covers your jars by 2 inches. (3) Tip! Line the bottom of your pot with a clean dishrag so it reduces the rattling on the metal bottom. (4) Have an extra jar or two at the ready. Canning can be finicky sometimes, often resulting in more quantity than expected. (5) This sauce is great for dipping dumplings, egg rolls, and spring rolls. 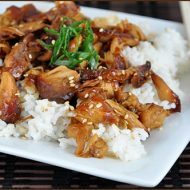 But you can also serve it with grilled meat, poultry, seafood, and vegetables. It’s great as a marinade and also as an ingredient in salad dressings. Can I use Ki ng Arthur brand instant Clear Jel or instant clear Jel on Amazon? I don’t think the brand matters, as long as it’s Clear Jel. 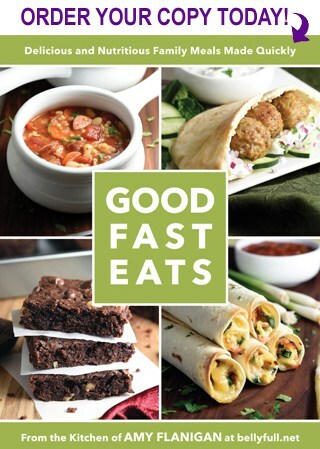 Making this this weekend and just ordered the book! Yay! HI live in Canada, wondering what canning starch is, also where can I get it? Sweet chili sauce is one of my favorite condiments EVER EVER EVER, but it usually comes stuffed with so many weirdo ingredients! Love that this is au natural and totally doable at home! loooove me some sweet chili sauce!! I can’t wait to try making my own!! Rebecca’s book is legit amazing right?? Wow, Amy, what a recommendation! It must be as fabulous as you say. I must admit, I forget to use the sweet chili sauce. I’m sure this recipe is better than the supermarket bottled sauce. This homemade version is spot on! But better, of course. I’m putting it on everything. Thanks, Melissa! Did you already get your copy? You’re going to love it. Oh, that’s even better! …and on my to-do list. I hope you sell a million copies! Sooo, you can’t use corn starch?